Exhibition "Velobayk 2013". Interesting statistics. Home » News and events » Exhibition "Velobayk 2013". Interesting statistics. 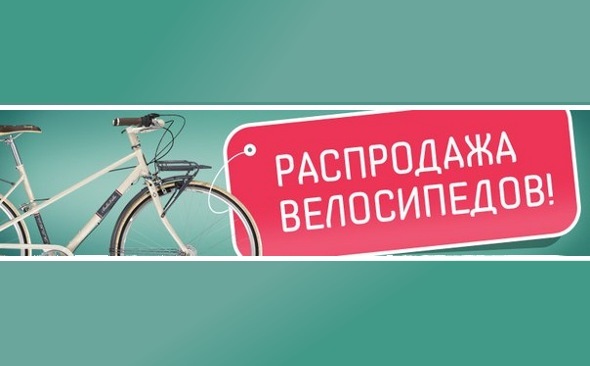 From February 28 to March 3 in the capital exhibition center "KyivExpoPlaza" will be held the ninth international exhibition of bicycles, components, equipment and accessories "Velobayk 2013". Velolyubiteli unanimous: this event is very large and noticeable not only in the Ukraine. Each year in Kiev attracts fans of cycling from all corners of Ukraine, former Soviet republics - Belarus and Russia as well as abroad - Holland. This year the exhibition as representatives velobiznesa come from Spain. We hope that this year the global velotusovke most conducive to really spring weather! Every year the exhibition is more like a large velosportploschadku, receiving a growing number of not only the participants but also visitors - velofanatov, followers of cycling, active lifestyles and other outdoor. The exhibition "Velobayk" always had a tangible impact on the development of cycling industry in Ukraine. Each new season led business is their latest and new collection, and visitors can buy or make an order for your favorite model or a set of components. The exhibition is held in 2005. In the past 2012, the number of participating companies has reached 74, while in the very first "Velobayke-2005" to take part in all 30. Constantly increasing and the total exhibition area - 1250 square meters of nine years ago, to 4800 in 2007 and 3200 squares in the past year. Dynamics Statistics reflects the increase in the number of visitors to cycling in our country over the years to "Velobayk" comes from five to 10 thousand people, and last year's exhibition was visited by more than 14 thousand velolyubiteley. The whole exhibition area is divided into thematic sections, each of which will be presented to bicycles for all ages and riding styles, beginning with childhood and adolescent, and the last race, mountain and BMX-yourself. On "Velobayke" you can see the products as the world's leading brands, manufacturers, distributors and Ukrainian popular brands of two-wheeled machinery. Separate exhibition area will accommodate stands with bicycle parts, wheels, tires, velokamerami, latest collections of bike shape, helmets and accessories. Several thematic stands will be devoted to repairs, maintenance, and seasonal storage for the first time at the exhibition - Bicycle. Useful information on "Velobayke 2013" will find not only the connoisseurs of the "iron" and "widgets", but also those who are looking for new ideas for velorazvlecheny, outdoor activities, cycling tours. What else please "Velobayk 2013"? Despite the fact that the program of additional events this year, apparently, will not be as intense as in last year's exhibition Organizer "Velobayka" and other special exhibitions of "SportExpo" bored, uniquely, is not necessary. The exhibition "Velobayk 2013" will be held a seminar "What we go: MTB custom sleeve, made in Ukraine." The moderator of the seminar will Konstantin Bogdanov, a representative Trailmech. Visit the seminar will be on Saturday, March 2 from 13 to 14 hours. But the organizers have prepared a real surprise for the fans of cycling extreme. On "Velobayke 2013" will be held demonstrations and master classes by a special guest of the event, world-class stars, the youngest World Champion, BMX fletera Adam Kuhn. Hungarian designer BMX bike show their tricks, which are part of the show, with whom he toured all over the world. In addition to direct-led innovations exhibition industry platform "KyivExpoPlaza" from February 28 to March 3, will be a place of dialogue, exchange of information, views, photo reports from cycling tours active cyclists from all over Ukraine. What is usually required to end the joint mass pokatushkami and, of course, brings a sea of ​​positive emotions! 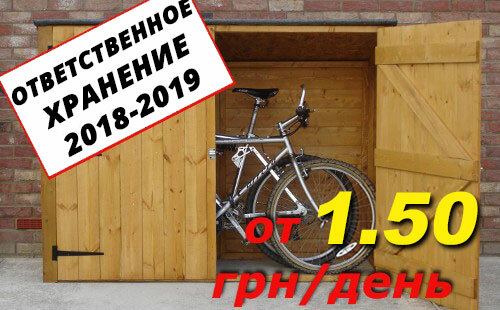 As already mentioned for the first time the first Ukrainian network rental, sales and service bicycles Veliki.ua will also participate in Velobayke, and will present a unique and so far the only one in the market of Ukraine, specialty car trailer to transport bikes to support group bicycle tours Bicycle TRoops Carrier-14M1 / Repair (BTRC 14M1 / R), also known as "Velodesant-14", which has previously been shown at the "Day without cars" as a mobile bike rental service. Cycling the device has successfully passed the tests and inspections at the national level, and has received all the necessary permits and certificates. In short, do the maximum in order to acquaint visitors with this new vehicle! Stand Veliki.ua network will also be devoted to veloreklame, rental and repair of bicycles, a bike tour across Crimea. Our team plans to place on the bench for the sale of new, high quality bike bags and reflective jackets for bikers, certificates for hire, repair and storage of bicycles. We will also present a sensational novelty has long market cycle flashing lights, so-called laser bicycle lane. This lamp, which projects behind the cyclist at a distance of about 50 cm. Each side of the two laser lines. This not only makes it more visible, but also makes it clear to other road, that that the cyclist has also its legal territory on the road. Our bike rental show you their videos aimed at promoting the services of hire and repair bicycles and Veliki.ua team will contribute to the entertainment part of the event and will present a new and unique for Ukraine racing bike Entertainment codenamed "Barbarians against the Romans ". Want to learn more and to get involved? Come to the exhibition "Velobayk 2013"! Welcome!